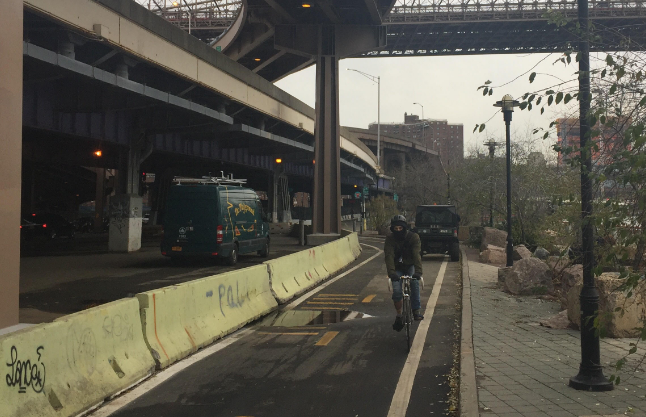 The pace is slow, but the city is making progress on the East River greenway in Lower Manhattan. The South Street section of the greenway, a project of NYC EDC, has been under construction for the better part of the last decade. Phase one wrapped up between Wall Street and Maiden Lane in 2011, followed by subsequent projects between Wall Street and Broad Street and between Pike Street and Pier 35 that opened in 2013 and 2014, respectively. 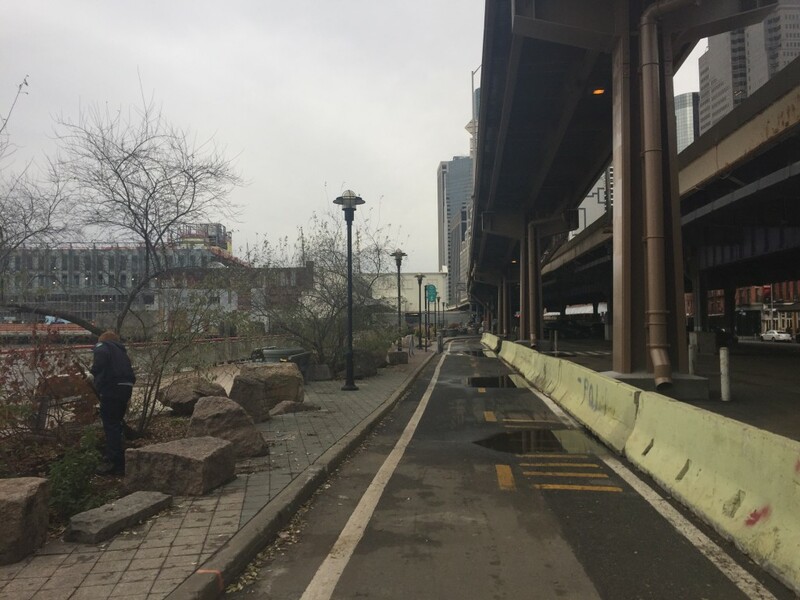 For at least the past few years, crews have been working on an esplanade just north of the old Fulton Fish Market, and during construction people walking and biking had to squeeze into a narrow, poorly paved shared path. Now that work has wrapped up, giving people on foot direct access to the waterfront and giving cyclists a smooth, dedicated two-way path. 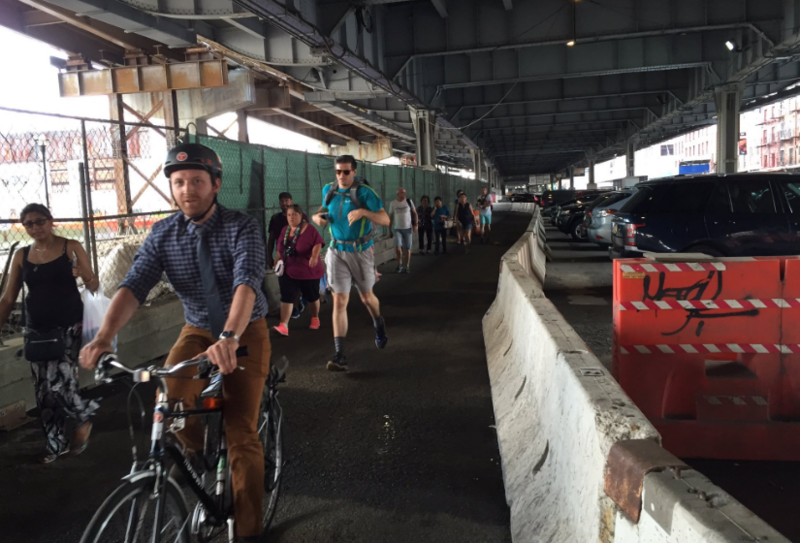 South of the new promenade, cyclists and pedestrians still share a makeshift path around the old Fulton Fish Market, known as the Tin Building, which is being redeveloped by the Howard Hughes Corp.
De Blasio’s revised Fiscal Year 2018 budget, set to be unveiled tomorrow, will dedicate $100 million in capital construction funds to build a walking and biking path between 61st Street and 53rd Street, narrowing the East River Greenway gap in Midtown to 12 blocks.